I’m proud to announce my next game – Spring Bonus! I’m already working on it and it will launch on 15 April 2011 on several different platforms including PC, Mac, iPad, iPhone, XBox Live Indie Games and Windows Phone 7 (and maybe even Linux). It’s a match-3 game with a Spring/Easter theme. 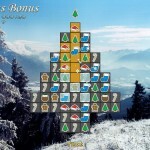 I’m reusing my Holiday Bonus match-3 code and updating it with some new features and changing all the graphics and music, plus there will be 100 levels. It’s funny how this game came about because I wasn’t planning to make it when I went Indie again in January. However, when I was uploading two of my games to the new Mac App Store, I thought it was a shame that I couldn’t upload my old Easter Bonus game because it is PC only. Then I thought that maybe I could do a quick conversion of it from BlitzPlus into BlitzMax so that I could make a Mac version. But after some consideration I realised that I needed a whole bunch of new UI graphics and in fact I should probably update the game graphics too in order for it to stand a better chance in the modern casual marketplace. I even had some cool ideas about adding a neat meta-game but since then I’ve de-scoped back to a simpler idea because there’s a ton of work to do in just updating the code, working with the artists to reskin the whole thing, contacting all the portals, and working with the teams that are porting it to other platforms. I made a spreadsheet of the tasks to complete with time estimates and the numbers were a bit scary, but I know I can do it because I’ve done it before! I knew I needed great art for the backgrounds and also quality game pieces and UI etc. So I put the word out on some forums and Twitter/Facebook that I was looking and I got over 20 different candidates. Some weren’t suitable at all and others were excellent. 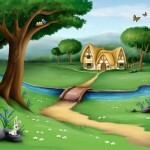 I reduced the list down to the best candidates and asked them to do some art tests of a Spring scene. Eventually I made a tough choice between the two most suitable background artists and I also contacted a Game Art Outsourcing Studio, RetroStyle Games, an experienced casual game art company, to do the game pieces and UI art. 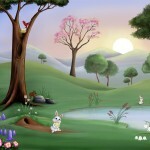 My background artist is Claudia Patron Perez and she is doing a great job as you can see by this example art. You can check out her stuff on DeviantArt and her twitter is @madmoiselleclau. Anyway I’ll try to post about progress as I go along, but really I should be focusing all my effort on finishing the game and getting it published on the portals and other platforms. Wish me luck! 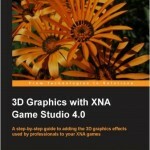 I have just obtained a review copy of 3D Graphics with XNA Game Studio 4.0 from www.packtpub.com. 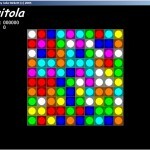 I started programming 3D graphics when I was about 12. In those days it was all wireframe graphics on BBC Micros 🙂 Then I moved up to filled 3D shapes on my Amiga. After a brief return to some 3D stuff in Delphi over 10 years ago, I haven’t touched 3D stuff since. I love 2D games (and they are simpler to make), but I have been getting that 3D itch again. So when I was offered a review copy of this book which is about 3D graphics in my favourite language (XNA), I was naturally pleased. I’ve skimmed the book and it seems very comprehensive. It starts with the basics and goes though shaders, lighting, shadows, particle effects, environmental effects and more! It also covers animation. There are tons of code samples and nifty diagrams that should help an out of touch dude like me get back into it. It’s available as a book or ebook. 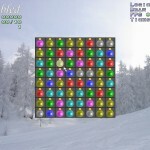 Before I launched my first commercial game in Dec 2005, Xmas Bonus, I made a simple match-3 engine using fruit graphics. 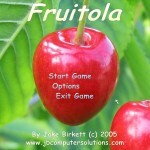 I was going to make a commercial game called Fruitola, but when I showed it to Indiepath, my first publisher, he suggested making a Christmas version instead. 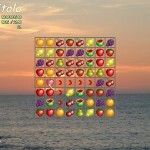 So Fruitola never saw the light of day, until now! 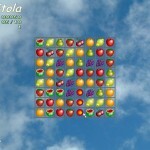 Anyway, you can download and try out Fruitola here (3.75Mb .zip file, PC only). Don’t expect it to hold up to modern casual game scrutiny though, it’s over 5 years old and wasn’t a commercial product. 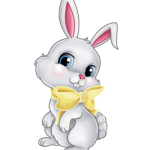 You are currently browsing the Grey Alien Games weblog archives	for February, 2011.